National Highway Traffic Safety Administration (NHTSA) statistics show odometer fraud costs American car consumers more than $1 billion each year. NHTSA defines odometer fraud as the “disconnection, resetting or alteration of a vehicle’s odometer with the intent to change the number of miles indicated.” Consumers purchase more than 450,000 illegally altered vehicles every year, but with a few precautions you can avoid such a fate. Do you think you are a victim of odometer fraud? Contact our auto fraud attorneys today. The consultation is free. Check the title. Motor vehicle titles must have accurate mileage readings recorded each time the vehicle changes hands. When you purchase the vehicle check the latest mileage notation against the vehicle’s mileage reading and note any discrepancy. Also check if the title itself has been altered, or if the mileage notation is obscured or difficult to read. Check for signs of alteration. Loose screws or scratch marks near the dashboard can indicate attempts to access and tamper with the odometer. Check maintenance records. Unscrupulous vehicle sellers can falsify mileage with reprogrammed digital odometers. If mileage notations in maintenance and oil change records tell a different story than the displayed mileage, you may have a problem. Maintenance stickers displaying a date and mileage notation can also often be found on window and door frames, in the glove box or under the hood. Check the tires. A newer car with fewer than 20,000 miles on its odometer should still have the original tires. If your newer car has different tires, that could indicate a mileage discrepancy. Check for wear and tear. Certain parts, including the gas, brake and clutch pedals, show signs of wear and tear you may not normally think about. Worn pedal edges can indicate high mileage. Other worn components that can indicate wear include brake systems, windshield wipers and other moving parts. Check with a mechanic. Asking a trusted mechanic to examine a vehicle before purchasing it can help find numerous issues, including odometer discrepancies. Qualified mechanics or inspectors can find mechanical wear indicating higher mileage than the odometer indicates. Check the car’s history report. Vehicle history reports from AutoCheck or CARFAX show mileage information stored in various government and industry databases. Differences between those records and the vehicle’s stated mileage can indicate odometer fraud. Check with the car’s previous owners. When possible, contact the vehicle’s previous owners and reference any documentation they still have. Doing so can help determine the source of the odometer discrepancy. 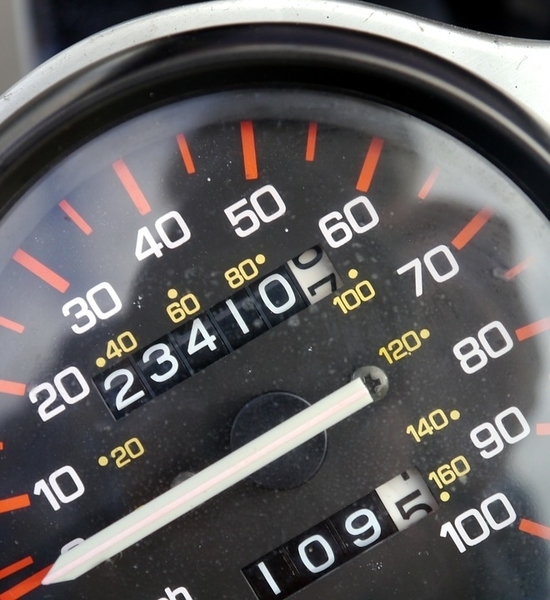 If you have been a victim of odometer fraud, the auto fraud attorneys of Allen Stewart, P.C. can help you recover your economic losses. Don’t wait; contact us today for a free evaluation of the merits of your odometer fraud claim.